I stay regularly and always find the staff very friendly and helpful. I frequently eat in the restaurant and the food is always very good and staff friendly. Had a great stay, staff very helpful, food fantastic, a very enjoyable experience! We thoroughly enjoyed our stay at Alto Hotel. The hotel was well situated and close to popular attractions, entertainment and activities. The staff were excellent, very polite and only too happy to help. We were impressed with the little extra's for example the wi-fi access and complimentary breakfast and hot drinks. It is the little extras that can make a stay more memorable. Great attentive service from the staff and they always addressed me by name. Love the cosy reading nook and the fire. Appreciated the endless coffee machine.. I got the flat pillows I asked for when booking thank you. the bowl of apples was great ! Very well appointed and comfortable rooms. Bathrooms reasonably tight so large people may have diificulty. Overall I was very impressed. 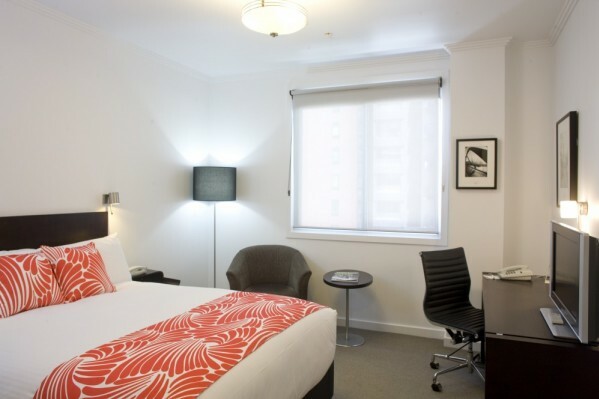 My husband and I enjoyed our stay at Alto Hotel On Bourke Street. We appreciate your philosophy and also the homely feel you have engendered in your facility. The location is good and the service friendly. I was impressed by the room cleanliness. Very much enjoyed our brief stay. We hope to return next year. Very pleasant. Great customer service and quiet accommodation. I love this hotel and have stayed with you a number of times but was disappointed that I had booked a double and two singles and we were allocated two doubles. I didn't say anything at the time as I thought I must have made a mistake but when I came home and checked the booking form it specifically stated one double and two singles so this was disappointing as my daughters had to sleep together and neither had a decent night's sleep because of this. Sorry but you did ask for feedback. Overall I couldn't really fault the hotel. Alto...you have thought of everything to make one's stay very comfortable. When I'm back in Melbourne I will be staying with you and have already recommended you to other friends. Thankyou. I've stayed before, I'll be staying again. I loved staying here! The staff were friendly and welcoming. My room was always well turned down and taken care of. Breakfast was satisfying. Any question I asked was answered and every request was reasonably met. Very pleasant. Reception and restaurant staff very friendly and welcoming. Great hotel for business stay. Each time I have stayed I have received excellent customer service and have been extremely happy with the quality of the room. Well done and Thank you! The staff were friendly and positive, willing to help and good-humoured. The overall look of the hotel was elegant, and it was great to see so many photographs and paintings in the rooms and passageways. We are returning guests and love the friendly staff and great location. I have stayed at Alto Hotel for 4 days.The staffs were very kind and helpful, we also got a great welcome on arrival.The room was very comfortable, many features were available.The location also very close to the public trams and shopping areas. Very Good ! As always, It felt very welcoming on the night I checked in. The special touch of complimentary chocolate was a nice touch. Dee was very helpful and remember me when I checked in. Lauren, as always is very knowledgeable and professional and provided me with all the information I needed. I like to especially mentioned both Lauren and their Dee for an exceptional and excellent FOH services. It was a good hotel. Had everything we wanted. We were looking for a central location with enough space for the three of us. This place was an apartment within a hotel and so was was very comfortable. Great location, clean apartment , friendly staff and hearty breakfast. overall would recommend it to all. Clean, well organised, comfortable accommodation. The staff were excellent especially monika in the dining room and hasnain at reception.we enjoyed our stay and would definitely come again. Staff are friendly. We had left something behind and they kept it for us until we returned. It is only a few minutes away from major shopping districts, easily accessible by tram and train station. Skybus airport shuttle also very nearby. Seems quite eco friendly, but for a boutique hotel, it is not as quirky or arty as other places. Great staff, great service, great location, great stay, and in a great city! Very Enjoyable! The staff were helpful and friendly, and the room had everything we needed for our stay. Free wifi internet was a welcome bonus. Was really glad to see the environmental initiatives, including recycling available in rooms -many hotels just pay lip service, so good that Alto has taken it one step further. Very good service. Gary and Andry were very helpful with restaurant recommdations, tips on public transportation and internet accessibility. Really impressed the bed was very comfortable everything about the hotel was excellent will definatly be staying again and will recomend the hotel to other people. Excellect location as i was arriving late from southern cross station, just across the road. Got a free upgrade and excellent breakfast, then only 2 blocks away from my meeting the next morning. I'm simply amazed at how much the self-contained units have to offer. We managed to get some laundry done during our stay. The beds are comfortable and clean and location is fantastic! Simply accessible by walking or the trams. It's conveniently located near the Southern Cross Station where we could easily hop on the airport bus shuttle for AUD$16! I would recommend to family and friends to stay there too. Really friendly staff, our room was clean and comfy. Great location - we had an excellent trip to Melbourne. The loft apartment was much smaller then anticipated from the photos, would have preferred a larger sitting relaxing area. A selection of pillows would have been good as we struggled with the ones we had - too high.